Imagine this — 35 feet underground, wedged in a well just a few feet across, surrounded by darkness, and not sure anyone will find you alive. That was the reality for an Amelia man who took a unique approach to signal for help. After being rescued by a fireman, the victim is in the hospital but it’s one birthday present Brian Burdge will never forget. Amelia first responders are being praised for helping save the man’s life. Everyday they respond to emergencies but this one was different and one firefighter didn’t waste any time when he arrived on scene. Karina Burdge is glad that man acted so quickly. Otherwise, things may not have turned out so well for her husband. “The first thing on my mind is ‘how do I look at my daughter and tell her? How do I tell her that he could’ve died down there’?” she said. It’s difficult for her to recall that scary moment. She was with her mother in law at the time. “That anyone found him is a miracle,” said Mary Burdge. It all happened when firemen responded to smoke coming from an abandoned church on Jetersville Road. While searching the area, something caught one fireman’s eye. “I come around this side and just happened to look at the well and it was smoke coming from it,” said David Weyant. Firefighters say Brian Burdge had set his own jacket on fire — hoping to get attention. “I just hollered out ‘fire department. Is anyone down there’ and I got a faint cry for help,” Weyant added. 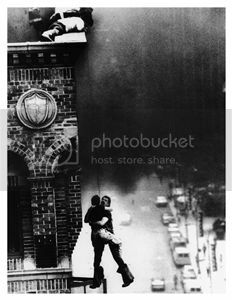 So he lowered himself almost three stories inside the dark well using a rope and harness to pull Brian to safety. Bruised and suffering from smoke inhalation, he was airlifted to the hospital. “His airways had some burns in them and he had smoke inhalation. He was intubated and put into a medically induced coma,” Mary Burdge said. His family is just relieved he made it out alive. “I want to tell them thank you because it took a lot of effort to get him out and if they didn’t my daughter may not have her father,” Karina Burdge said. But the fireman who jumped into the well doesn’t want the credit. “A few of the guys said that night that I was a hero and my way of seeing it is I was just the guy they sent down the well,” Weyant said. Instead, he thanks his team of volunteers. “Without them my mission would not be successful,” he said. There are still some unanswered questions – how did he get inside the well? Was anyone with him at the time? These are questions his family and even investigators are still trying to get to the bottom of. Burdge’s family says his condition continues to improve at the hospital. Investigators are working to determine how the church fire started and if it’s at all connected to Burdge ending up inside the well. 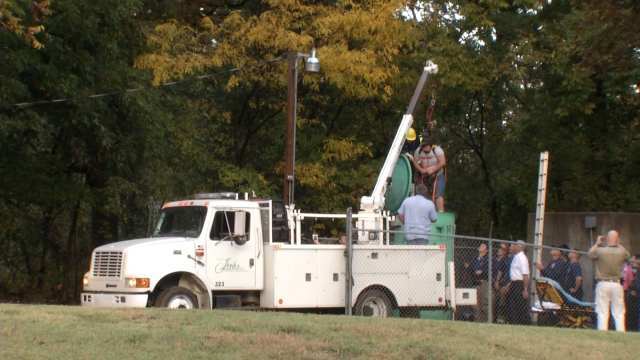 A Jenks city worker will be all right after he fell down a 10-foot hole and had to be rescued. City leaders say the man was following protocol and the weather was partially to blame. It was a busy morning for EMSA and Jenks Fire and Rescue, after a city worker fell 10 feet in a sewage lift station. News On 6 cameras caught the moment a crane was lifting the injured man out. The City’s Public Works Department tell us it inspects these stations every day. One man will go down in the pipe, while the other two watch from above. It all started at 7:30 Thursday morning, when the city tells us the inspector was climbing down the 30-foot ladder. Twenty feet down, he slipped, and fell the rest of the way. “Things can happen. It’s been raining here, his gloves were wet, his feet were wet, climbing down a vertical ladder, and his foot slipped,” said Jenks Public Works Superintendent Gary Head. Head was the first on scene, climbed down the hole and stayed with the injured man until crews arrived. “I went down in there with him. He was very alert, talking, he just said his foot hurt,” Head said. We’re told the injury was to his leg or foot. Jenks Public Works tells us this is the first time something like this has happened. 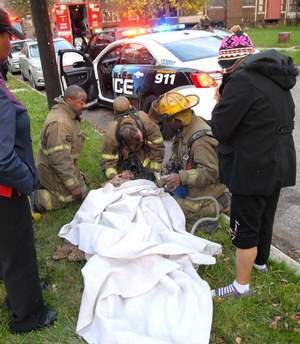 Two Detroit firefighters rescued an unconscious woman from a burning house today and revived her through CPR, according to a fire official. Firefighters were dispatched around 6 p.m. to a house on the 200 block of Hague between John R and Brush, just east of Woodward. “After we initiated our attack, one of the neighbors said there might be somebody in there,” Detroit Fire Acting Chief Robert Distelrath said. Distelrath said firefighter Claude Milhouse and Sgt. Michael Dillon searched the smoke-filled house and found a 63-year-old woman unconscious in a bedroom on the second floor. They carried her out and performed CPR on the front lawn, he said. The woman regained consciousness, Distelrath said, and was taken to Henry Ford Hospital. An update on the woman’s condition was not immediately available late tonight. The fire appears to have started in the first-floor living room, Distelrath said. He said the fire wasn’t suspicious, but it’s not immediately clear what caused it. Distelrath said Engine 35, Engine 39, Engine 44, Ladder 20, Squad 2 and Engine 17 responded to the scene. Chicago- A woman whose foot was lodged in a hole in a crosswalk near Michigan Avenue and Wacker Drive was rescued by firefighters Friday night. Around 10:25 p.m. the woman’s leg was caught in an “expansion joint” while she was crossing the street in the 300 block of South Michigan Avenue, according to Chicago Police News Affairs Officer Amina Greer. 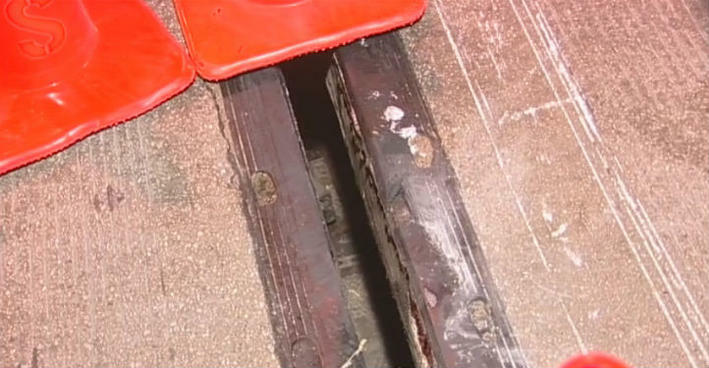 Firefighters working from street level and underneath reportedly helped free the woman’s foot using the Jaws of Life to expand the hole until her foot could slide free, the Chicago Tribune reported. Crews worked for around 40 minutes to free her foot. The woman was taken to Northwestern Memorial Hospital in good condition after the incident, Greer said. A Streets and Sanitation truck was placed at the hole and repairs are expected to begin Saturday, officials said. 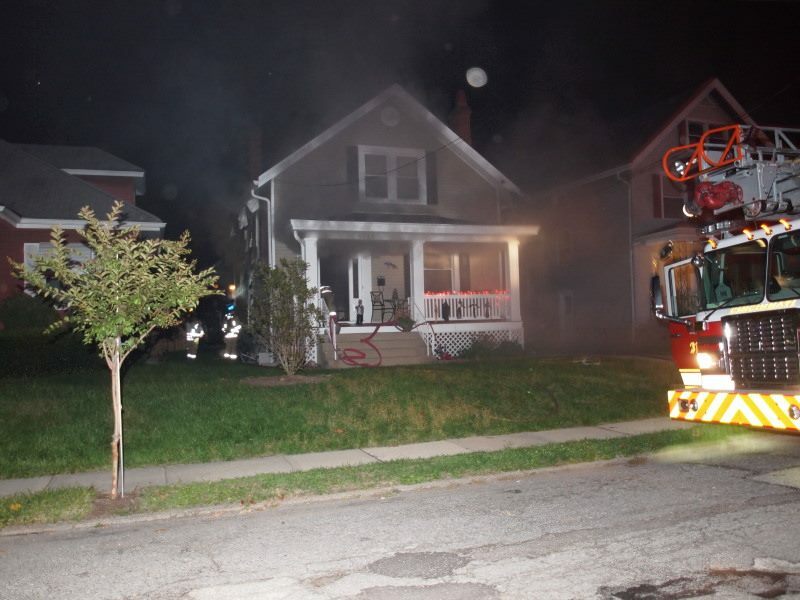 CINCINNATI —Officials say a fire trapped a woman and her pets in an Oakley home on Monday night. Emergency crews were sent to the 4100 block of Millsbrae Avenue shortly after 9 p.m.
Police said they were able to get the woman out of the home through a thick block window from the basement. 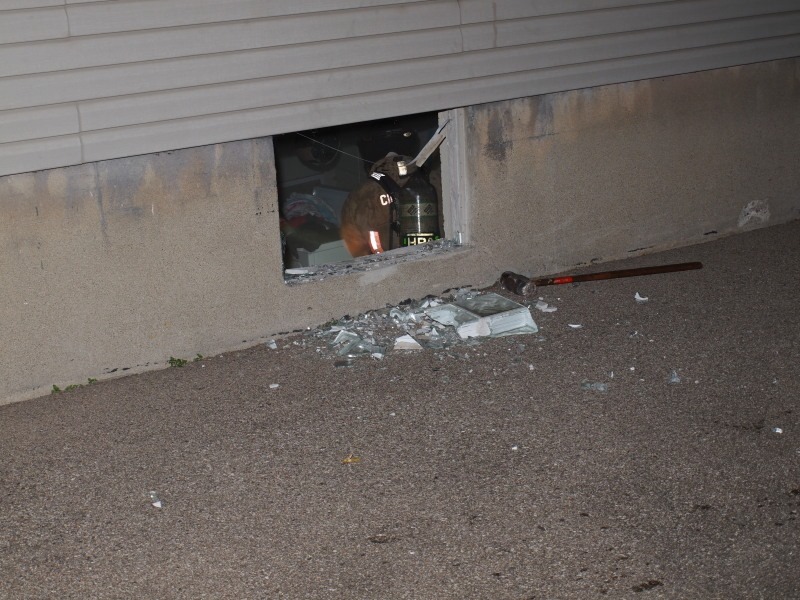 Six cats and three dogs were in the home at the time of the incident. They confirmed one dog and one cat were killed in the fire, police said. According to police, the cause of the fire was determined to be a candle possibly knocked over by one of the pets. Damage from the fire was estimated at $40,000. LEHI — Crews in Lehi were able to free a man who was partially buried in a deep trench. 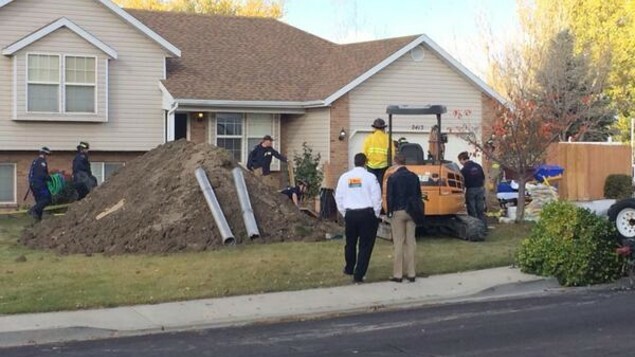 Tuesday morning, a 10-foot deep trench in the front yard of a Lehi home near 2400 North and 910 West collapsed on a worker, burying him in dirt up to his head and pinning him against a pipe. Rescue crews worked to free him from the entrenchment and thick, wet dirt, but were concerned about further collapse and injury. The man was transported by ambulance to a medical helicopter before being taken to Utah Valley Regional hospital, according to police. According to fire officials, the man is a Whipple Service worker. RICHLAND COUNTY — One person was rescued from a second-floor balcony, but no one was injured in a fire at a St. Andrews apartment complex on Monday evening. Brick Lewis, a spokesman for the Columbia Fire Department, said crews were dispatched to the Ashton at Longcreek Apartments at 1401 Longcreek Drive shortly after 9 p.m. Monday. That’s off Broad River Road near Interstate 20. When they arrived, crews found Building 201, which has seven occupied apartments out of 10 altogether, with heavy fire and smoke coming from the second story and roof. 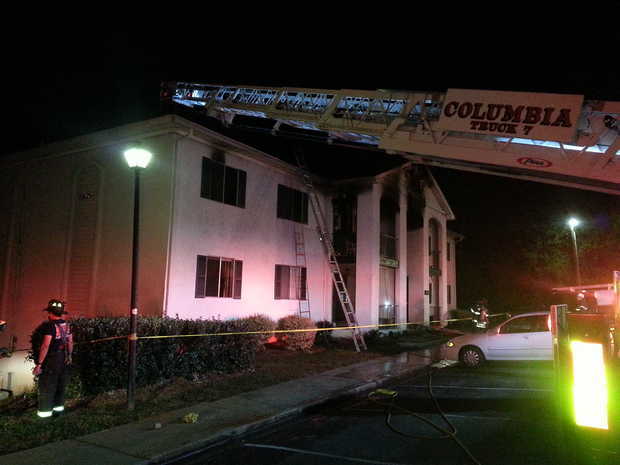 One resident was rescued from their balcony. Lewis said a secondary fire was sparked several apartments away, but it was quickly extinguished. The Richland County Fire Marshal and the Richland County Sheriff’s Department is investigating the fire. A one-armed, one-legged hero helped rescue two babies from a raging house fire in the Bronx Monday morning that left a dozen people injured, authorities and witnesses said. The unidentified good Samaritan dropped the two children from a third-floor terrace with one hand and another male resident on the ground below safely caught them, witnesses said. “The gentleman had the baby hanging off the porch. We started screaming, ‘Let go of the babies! Let go of the babies!’ The guy who caught the babies passed them on [to me],” said Franciane Valmont, 50, lives next door. Several other people were removed from the building by firefighters. 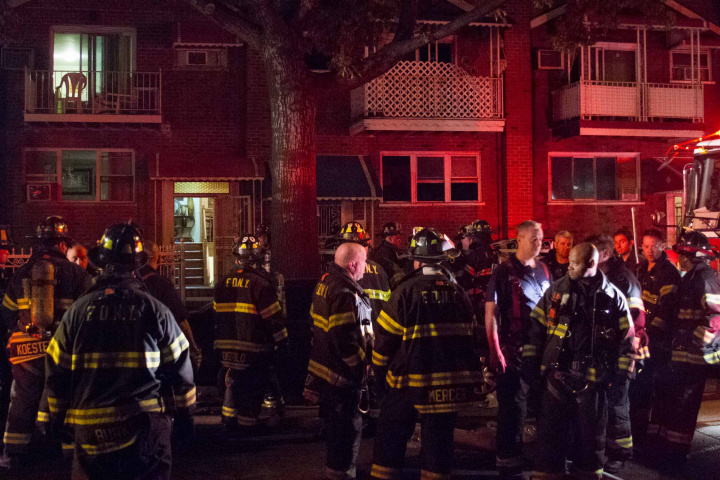 Valmont said she handed the lucky tykes to EMS once ambulances arrived at the scene on Taylor Avenue near Watson Avenue in the Soundview section. “I will live with it for a good while,” Valmont said of the terrifying experience. Two of the victims are in critical condition, officials said. Three more were in serious condition and seven people suffered minor injuries. All were taken to Jacobi Hospital. Chicago firefighters rescued two people from a burning building on the city’s far north side this afternoon near in the city’s West Ridge neighborhood. 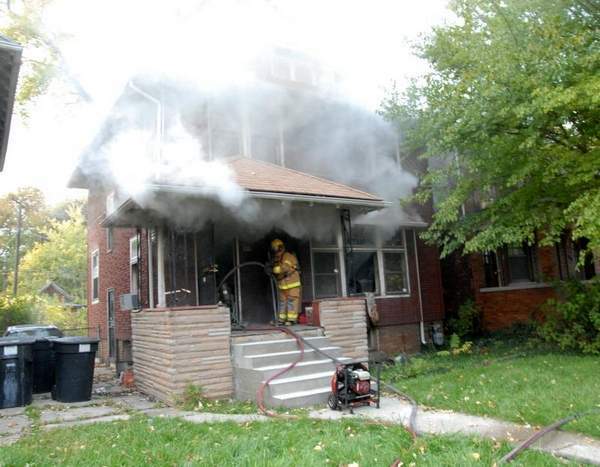 The fire tore through the apartment building in the 2600 block of W Rosemont around 2 p.m. When firefighters arrived on the scene, there were still two people inside. “When I arrived on scene, there were people hanging out of windows,” said Fire Chief James O’Donnell. Firefighters rescued one person from the second floor with the ladder. They also went inside to rescue a 64-year-old woman. She was taken to Swedish Covenant Hospital and treated for smoke inhalation. 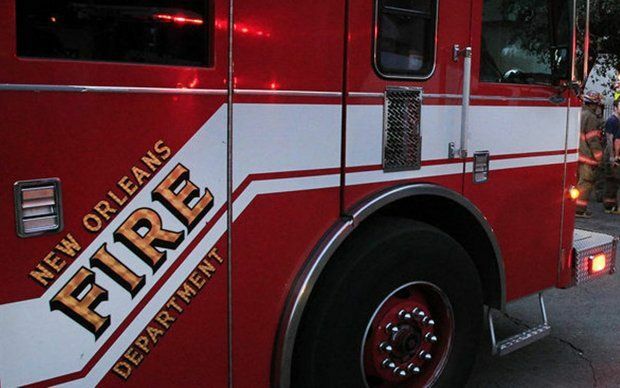 The New Orleans Fire Department is crediting smoke detectors for saving the lives of a man, two birds and a cat Sunday morning. Officials are investigating the cause of the one-alarm fire in the Marlyville/Fontainebleau neighborhood. Firefighters arrived at 2025-27 Lowerline St. at 5:29 a.m. to find the porch and front attic of the double shotgun engulfed in flames. A resident of the 2027 side told officers he got out of the house when he heard his neighbor’s smoke alarm go off but thought his neighbor might still be inside. Indeed, fire personnel found an adult male resident of 2025 in bed in a back bedroom. The man was treated on the scene by New Orleans Emergency Medical Services and brought to an area hospital for observation. A woman who also lives at 2025 Lowerline then arrived and said the family pets were inside. 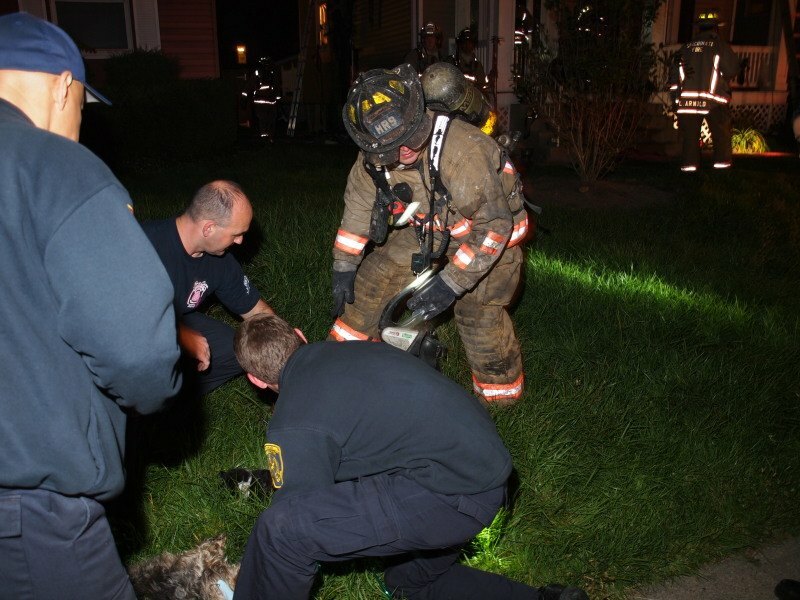 Firefighters found and rescued two birds and a cat. 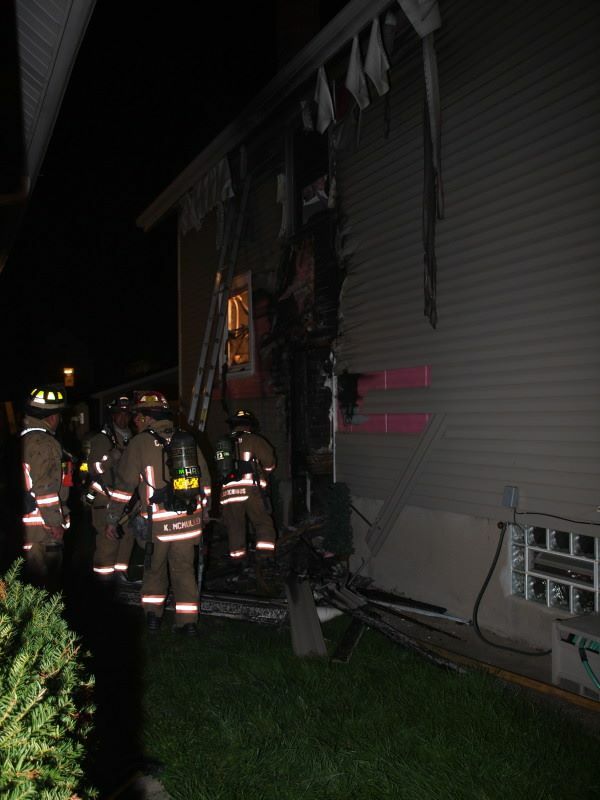 The fire was brought under control at 6:02 a.m.